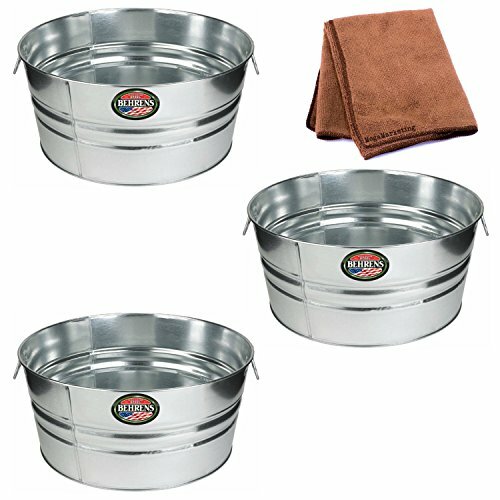 A Behrens Galvanized Sheet Round Tub is ideal for giving the dog a bath so the house doesn't get drenched in the process. It also makes a great watering trough for a few head of livestock, as well as a feed tub for them. Drill a few holes in the bottom of the Behrens Galvanized Sheet Round Tub and it becomes a planter for colorful annuals. If you have any questions about this product by Behrens, contact us by completing and submitting the form below. If you are looking for a specif part number, please include it with your message. Sagebrook Home-Flower Pot, Rose/Brown, 15" X 15" X 27", 15" x 15" x 27"